Deer Antler. Just the thought it of sounds suspicious – athletes have been banned for using it, headlines denounce it – yet people are snapping it up like crazy. So the question is how does all this possibly pertain to the fitness community? Deer antler velvet extract is purported to be one of the most potent ways to get IGF-1, a growth hormone that aids muscles, nerves, and cell repair. 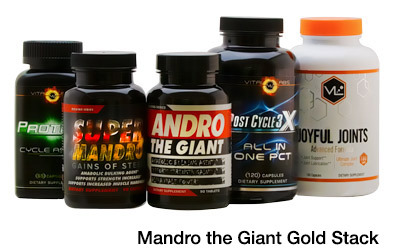 Aside from all that, it also boasts anti-aging properties, increased muscular endurance, and enhanced recovery and libido. Sold? Not so fast – it’s true deer antlers grow at one of the fastest rates experienced by mammals and IGF-1 is largely believed to be the chemical igniting their development. Large amounts of the hormone exist in the deer velvet. But science questions exactly how much of the IGF-1 extracted from deer antler velvet is bio-available to humans. 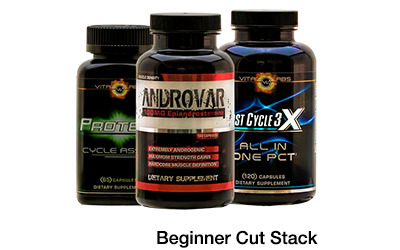 Deer Antler Extract is available from many sources ranging in quality but only one company creates a scientifically formulated 4X stack, APS Nutrition. 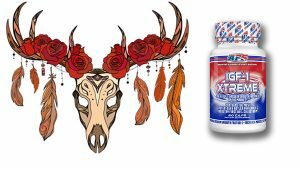 APS’s IGF-1 Xtreme combines deer antler with colostrum, a natural source of IGF-1, IGF-2, and GH, in order to increase anabolic activity while remaining anti-catabolic. 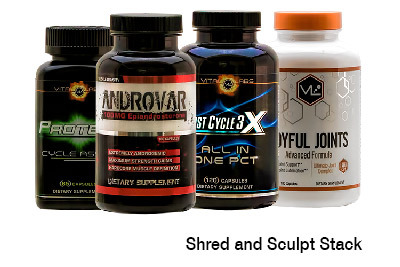 As if this muscle building 1-2-3-4 punch wasn’t enough, APS went ahead and micronized these nanoparticles using their pharmaceutical manufacturing processes to increase cellular uptake and flood them into the lymphatic system. 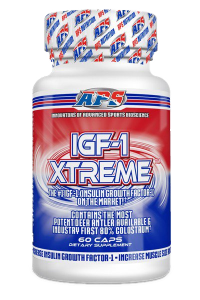 You can find APS IGF-1Xtreme at Strong Supplement Shop and decide whether or not deer antler extract is the ultimate muscle maker for yourself. How expensive is IGF-1 Extreme? Hi Johnny- Thank you for your question. Its best if you visit the page yourself here: IGF-1 Xtreme. I’m not posting the price now because if it changes it might not get updated in these comments. I will say this though, its probably our best value for an IGF-1 product. Some of the pure deer antler extract products we carry are 2 times the price, and this one gives you more; enough said.